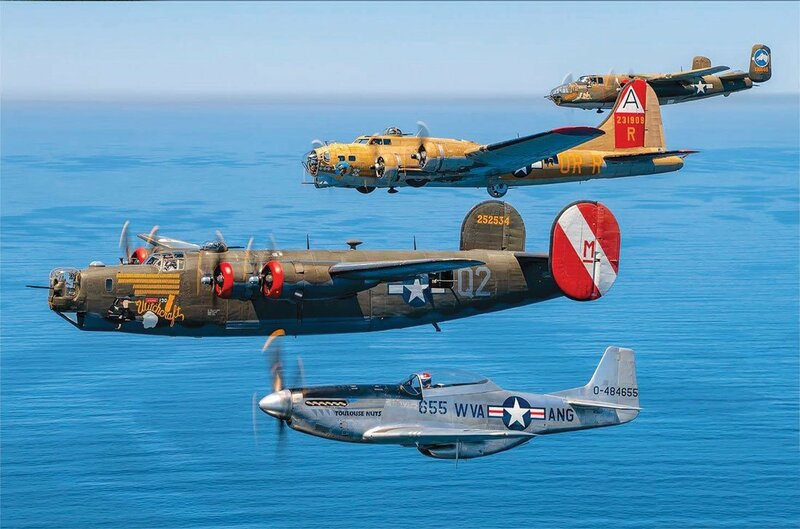 Participating in the Collings Foundation’s WINGS OF FREEDOM TOUR, B-17 Flying Fortress “Nine O Nine,” B-24 Liberator “Witchcraft,” B-25 Mitchell “Tondelayo” bombers and P-51 Mustang “Toulouse Nuts” fighter, will fly to Banyan for a visit from January 18th to 20th. This is a rare opportunity to visit, explore, and learn more about these unique and rare treasures of aviation history. The B-17 is one of only 8 in flying condition in the United States. The B-24J Liberator is the sole remaining example of its type flying in the World. The B-25 is best known for being used in the daring Doolittle raid and the P-51 “Toulouse Nuts” fighter recently received the 2016 Oshkosh Grand Champion Award for restoration. Visitors are invited to explore the aircraft inside and out – $15 for adults and $5 for children under 12 is requested for access to up-close viewing and tours through the inside of the aircraft. Discounted rates for school groups. Visitors may also experience the once-in-a-lifetime opportunity to actually take a 30-minute flight aboard these rare aircraft. Flights on either the B-17 or B-24 are $450 per person. Get some “stick time” in the world’s greatest fighter! P-51 flight training is $2,200 for a half hour and $3,200 for a full hour. B-25 flights are $400 per person. For reservations and information on flight experiences call 800-568-8924.